There’s no question that technology is helping us do so much more than it did in the past. From wearing a watch that counts our steps to driving a driver-less car, technology is changing our lives! All of these technological developments certainly haven’t left our pets behind, and we will tell you how. Recently, we’ve noticed there have been quite a number of innovative pet-related developments entering the markets. Just like how emotional support animals change and improve our lives, human-made technology is there to change and improve their lives. Therefore, we’ve decided to compile a list of some useful ones to share with you. Automatic pet feeders can be a lifesaver for busy pet parents, and the Hoison is one of the best out there. Meeting run late? Stuck in traffic? Simply log on to the Hoison app and with the click of a button, you can dispense your dog’s dinner. It’s that easy! 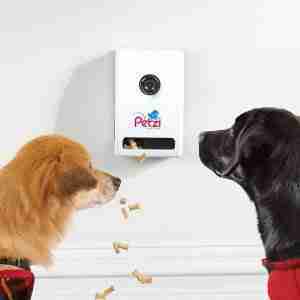 You can program it to dispense just the right amount, so you don’t need to worry about your dog over eating. It has an anti-blockage design, which means your dog’s food won’t get trapped inside. The Hoison feeder is also equipped with an HD camera and microphone, so you can see and communicate with your pet, too! Being able to check-in with your dog can give you peace of mind that he’s not getting too lonely or tearing up your couch cushions. You can tell him you love him, that you’ll be home soon, and reward him with a nice dinner all from the convenience of your phone. It might look like just another ball to your dog, but in reality, the Pebby is so much more. This fun little ball uses Bluetooth and Wi-Fi technology to create a remote-controlled toy that keeps your pet entertained for hours! The Pebby is a pet technology that also does double duty as a pet sitter, so you don’t have to worry what Rover is up to while you’re away. It’s equipped with a wide-angle fisheye lens that gives you the optimal view of your pup (and in real-time!) whenever you want to check in. And the best part? With the Pebby, you can actually talk to your dog using the two-way communication feature. So if you’re missing your pup while you’re at work, you can pull up your Pebby app to say hello. Use your remote to send the Pebby flying around the house while your dog gives chase. Then when it’s time for your next meeting, you can toss it on auto play. Dogs who scarf down their food can wind up with all kinds of digestive problems, and that’s no fun for anyone. 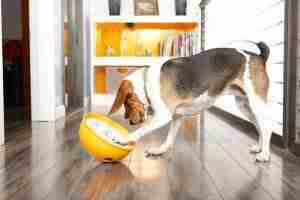 If you’re worried your pup is eating a little too quickly for his own good, an interactive dog bowl is a perfect thing for a perfect little dog! Our favorite is the PAW5 Rock ‘N Roll dog bowl. This gadget is a half toy, half dog bowl — you pour up to four cups of food into the bowl, and your dog has to sniff around and nudge it to get the kibble inside. The puzzle-like design stimulates your dog’s natural hunting instincts, which means he’ll be entertained for a long time as he works to get his meal. We know how hard it is to leave your pet at home every day. Why can’t we all just stay-at-home puppy parents? Maybe one day, but in the meantime, Petcube’s Bite and Play high tech pet products can help you stay in touch with your pup during long outings. 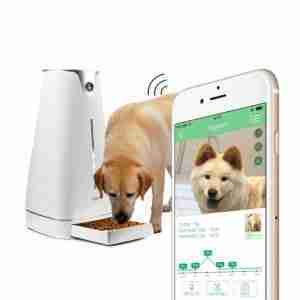 Bites is a pet technology that lets you dispense treats to your dog with the tap of a button, while Play has a laser light that beams around the house to keep your pup entertained. 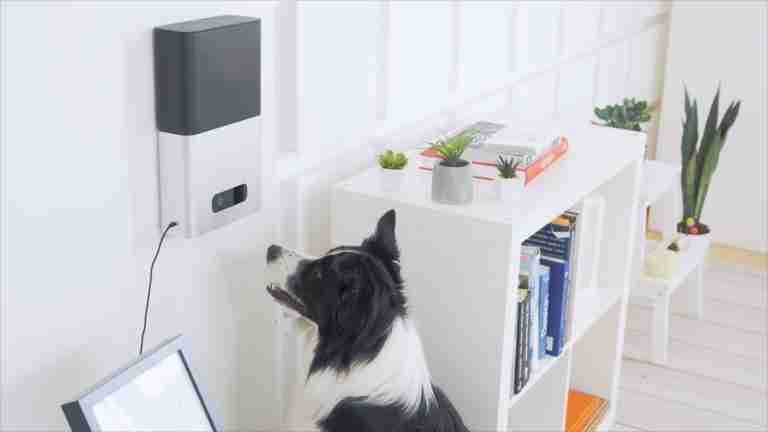 Both offer cameras so you can check in on your dog, but the Bites offers two-way communication so you can send your dog a message if you’d like. Get one of them, or get both! Either way, your dog will feel less lonely at home and you’ll be happier knowing that your dog isn’t sitting by the door crying and waiting for you to come home and feed it. This is one smart dog collar. 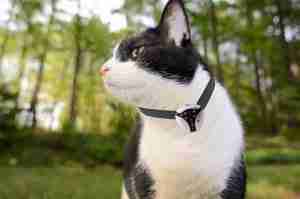 With this collar, you can monitor and train your pet. Its main function is as a GPS tracker so you know where your pup is at all times, but it can also send you flea & tick medication reminders, open RF-enabled pet doors, let you know it’s time for Fido’s dinner and more. If your pet does get separated from you, the GPS tracker will lead you right to him. Plus, the collar has a touch display that lets whoever finds your pup get the dog’s name and your info. The Scollar is the total pet care system! Music can be so soothing. 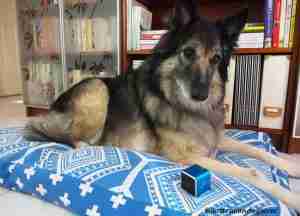 If you enjoy putting on some tunes to unwind and relax, who is to say your pet wouldn’t enjoy the same? Give it a try with high tech pet products like Pet Tunes. This Bluetooth speaker emits a special frequency that has been clinically proven to reduce stress and calm your pet’s anxiety. It’s just what the doctor ordered for dogs with separation anxiety or pups that get frightened during a storm. Pet Tunes is also portable, so you can bring it along in the car or to the vet’s office if those environments tend to be overwhelming for your pup. Warning: Be careful! You just might spend more time playing with your pet than working! Ever wanted to see what your little furry pet sees? Well with this stunning new innovation, you can! Although this was originally designed for cats, the Eyenimal Cat Videocam works well for both cats and dogs. This camera clips to the collar and has a three-hour battery life. It weighs only 9 grams, so it’s perfectly safe and light for your pet to wear. If you let your pet roam, you now have a tool to know exactly what they’re up to! Get a pet’s eye view of outdoor adventures with this fun invention! Why wave toys for your pet when you can fly them with a drone? 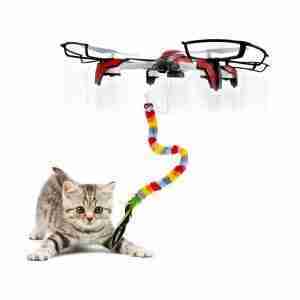 Among the high tech pet products available today is the ProFlight Pathera Cat Drone which is cheaper than you may think, and it allows you to dangle a mouse, fish, or feather for your cat to play. It has a built-in camera, so you can watch the action. The safety features including avoidance system and auto altitude, help protect you from flying the drone into your cat or surroundings. Did you ever wonder what your pet’s really thinking? Mattel Puppy Tweets is among the latest pet innovations that lets you know. This fun toy clips to your dog’s collar. When your dog is active or barking, it triggers an automatic post to your Twitter account. But don’t worry. The tweets are all fictitious. If you see “Help, my nose is stuck in the bird feeder,” it’s not really a problem. It’s just a quirky and fun toy!